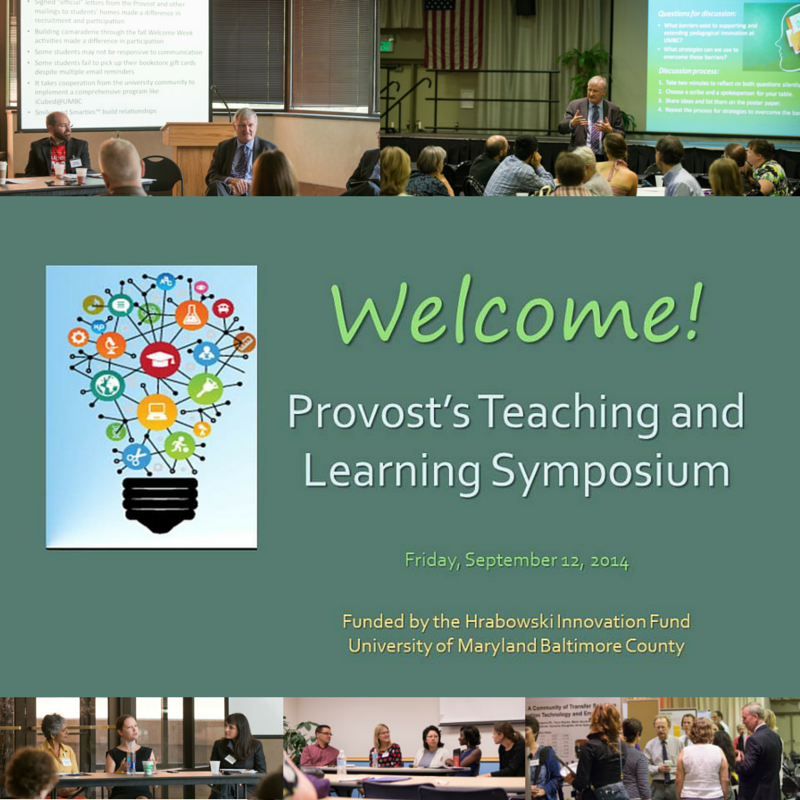 This annual symposium, begun in 2014 as part of the Hrabowski Innovation Fund initiative, brings together UMBC faculty and staff to present and discuss pedagogical innovations on campus and to plan future directions in teaching and learning. See the agenda, handouts, and other materials from past Symposia on Box; and videos from the 2015 Symposium panel presentations on Applied Learning Experiences and Creating Direct Measures of Student Learning on UMBC’s YouTube site. The 2017 Keynote presentation by Dr. Saundra Y. McGuire is available to view here. Please mark your calendars for the sixth annual Provost’s Teaching and Learning Symposium on Friday, September 20, 2019 from about 9-2 in the University Center. More information including the keynote speaker will be provided at a later date. This event is a wonderful time to celebrate UMBC’s commitment to student success and share our work with one another. Please plan now to attend–good food and good ideas will abound!